The Vero Beach Dodgers needed a stop in this August 1991 game and Mike Sampson came through, according to The Lakeland Ledger. The score tied in the top of the 11th, Vero Beach's initial reliever recorded two outs, but also walked the bases loaded, The Ledger wrote. Sampson came on and recorded the final out - in time for his Dodgers to score the winning run in the bottom of the frame. Sampson recorded the win. That win marked one of five Sampson picked up that year, his fourth season as a pro. Those five wins also marked his final as a pro. Sampson never made AA. Sampson's career began in 1988, taken by the Dodgers in the 25th round of the draft out of Holyoke Community College in Massachusetts. Sampson started in the rookie Gulf Coast League. In 10 starts, he went 2-2, with a 3.33 ERA. 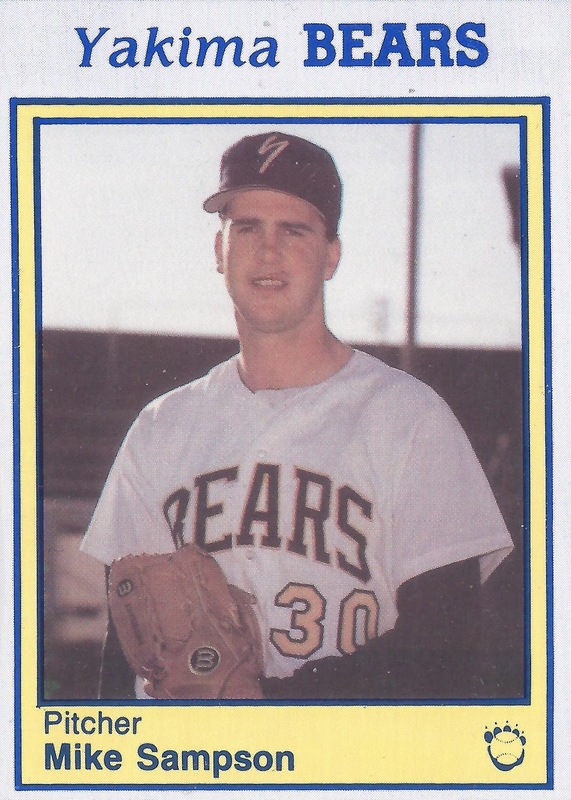 He moved to single-A Vero Beach for 1989. He went 6-2 there over 16 outings, 11 starts. 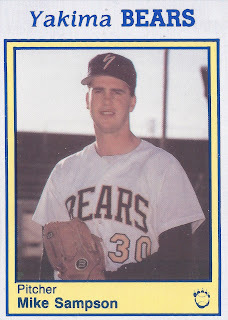 For 1990, he played at high-A Bakersfield and short-season Yakima. He got into 12 games, 10 starts at Bakersfield and three starts at Yakima. He went 5-4 overall, with a 4.85 ERA. Sampson returned to Vero Beach for 1991. He finished out an early August loss with an inning of scoreless ball. He went 5-8 on the year, with a 4.99 ERA to end his career.